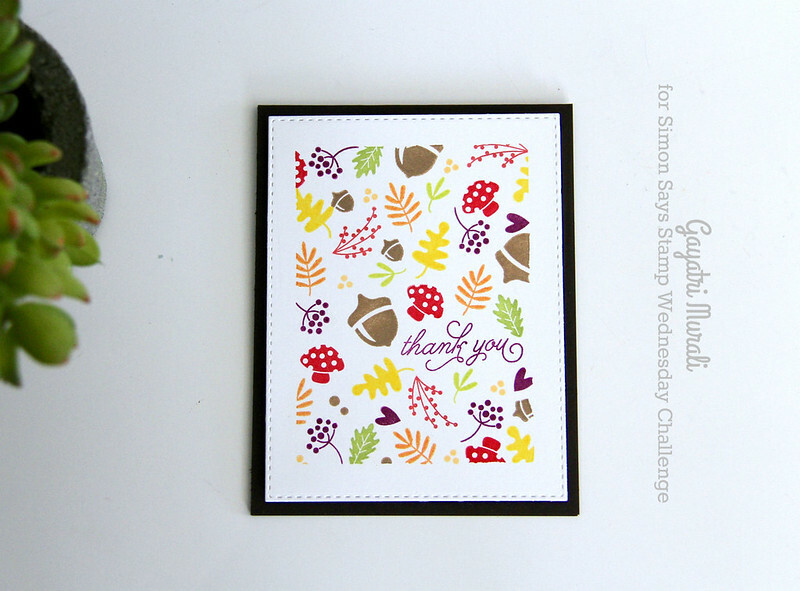 The October card kit from Simon Says Stamp arrived yesterday. Hooray! 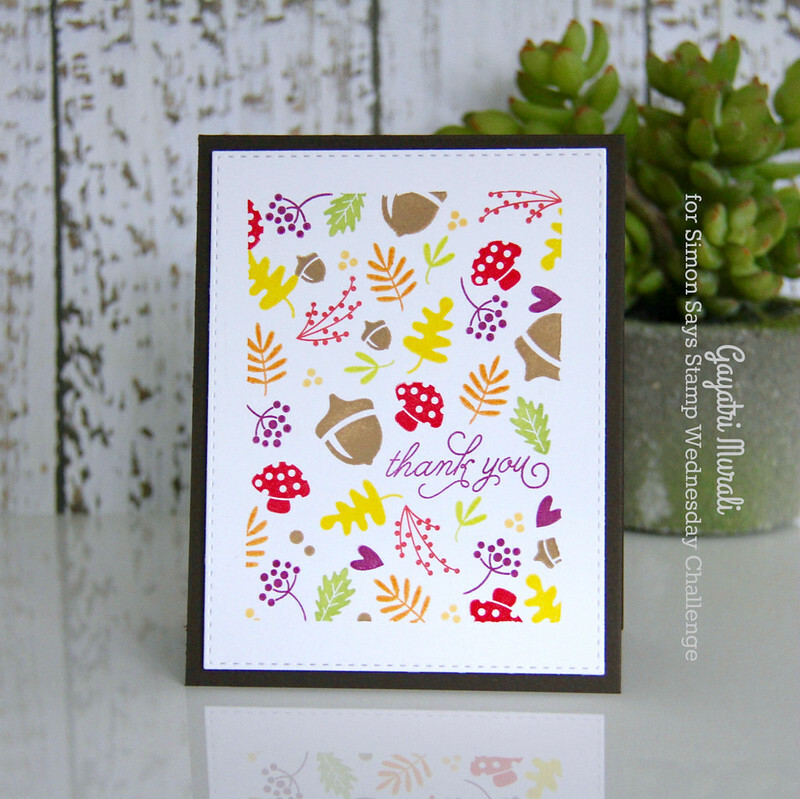 I LOVE this card kit for its cute stamp set and the plaid pattern paper. Although this kit is sold out, you can buy all the items separately from Simon Says Stamp Store. I love all the images in the stamp set. The moment I saw this set, I wanted to make stationery style cards. 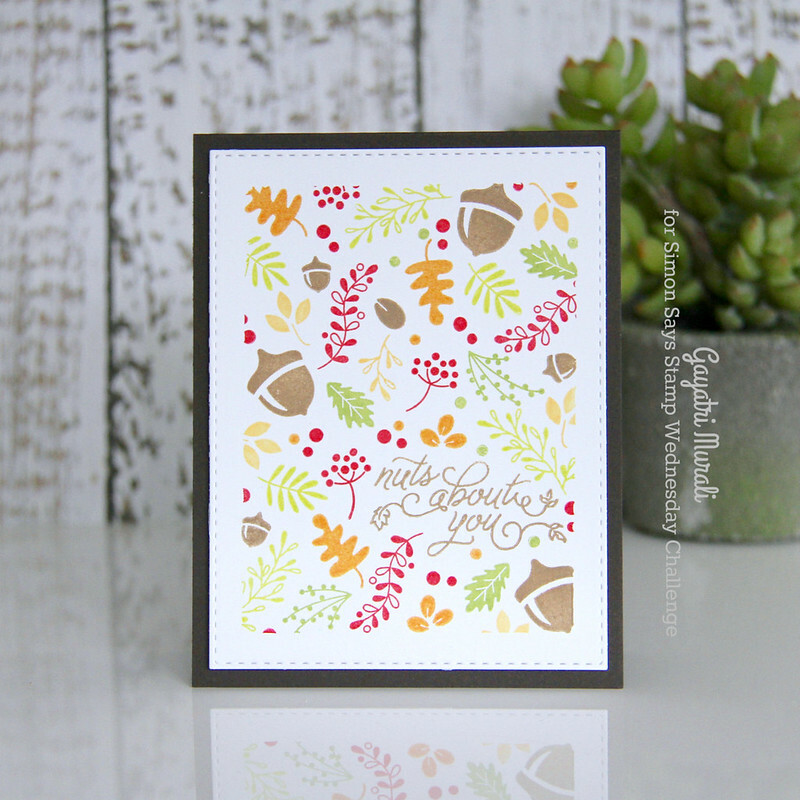 These smaller images are perfect for this style of card. I made a set of two cards. Both cards follow the same process with just a few changes. I die cut two stitched rectangle panels using white prescored cards that came in the kit. I used Simon Says Stamp Stitched Rectangle die set. I masked half an inch all around the panel using masking paper. Then used various pigment inks to stamp the images. I started with stamping the sentiment first and then stamped the images around it. I made sure images along the edges are stamped with an overlap on the masking paper. This will give a defined rectangle of stamped area when the masking paper is removed. I adhered these panel on brown card base made using the brown cardstock from the card kit. Hope you like my set of cards. 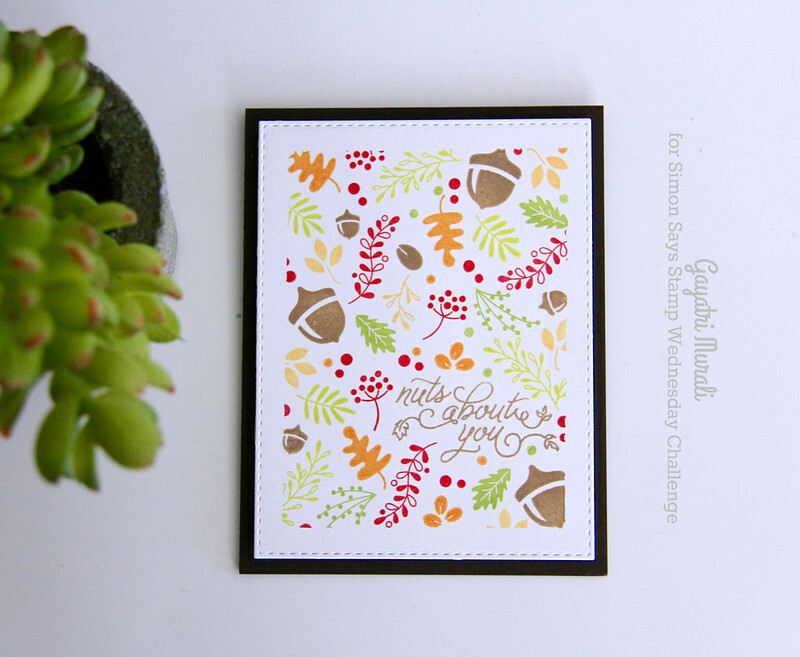 You can find more inspiration at the Card Kit Gallery. I LOVE these two cards, Gayatri.